Splash is a technology company that powers advanced in-person marketing programs for the world’s leading brands. More than half of the Fortune 500 use Splash to streamline event marketing execution and optimize performance. From simplifying event asset creation to capturing attendee insights and measuring event impact, Splash enables marketers to reach and connect with target audiences in-person, efficiently scale event programs, and connect event-driven engagement to business results. After learning that $70 million in tickets have been sold on Splash, 2.8 million check-ins, 21 million RSVPs, and 670,000 events thrown on the platform, I wanted to find out more about the Event Management company. 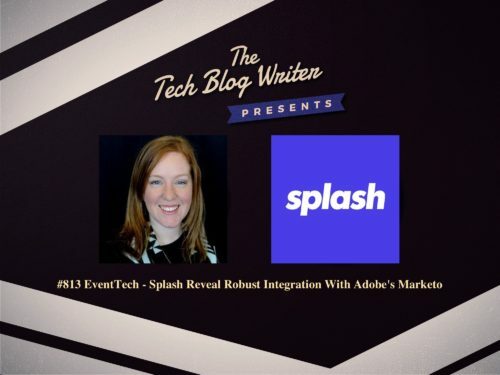 Amy Barone, CSO at Splash tells me more about how technology is transforming the event industry. Amy is a Marketing and global events leader with 20 years of experience working with leading brands in enterprise software, telecommunications, arts, and entertainment industries. Having joined Tableau Software in 2007 as one of the first marketing hires, Amy has continued to drive progress and growth her in roles through its rise from start-up to a billion dollar enterprise. Tableau is now widely recognized as the leader in data analytics, one of the hottest technology sectors. Amy is recognized as a leader in technology event marketing, has been invited to speak by organizations such as CEMA and ANA, and has served on a number of advisory boards, including Alaska Airlines, Starwood, PSAV, and Choose Chicago. In addition, Amy has been interviewed and published in articles for her work on Tableau Conference, including Convene Magazine and Alaska Beyond.